As a Melbourne motorcycle injury lawyer, I can guarantee you one thing: If you are the victim in a personal injury case, you will have to attend one or more Compulsory Medical Examinations or CMEs. This name is now mandated by the courts, because not long ago the insurance industry referred to them as Independent Medical Exams. This was too much of a lie for even a bunch of lawyers to swallow. There is nothing independent about them; the doctors doing these exams belong to the insurance companies. Why would a doctor do CME work? The simple truth is that the insurance companies are willing to spend big money to prevent losing even bigger money to a personal injury claim. In many cases, the company and doctor will have a long-standing relationship, and it is not unusual for individual docs to have been paid well in excess of $1 million over time. In truth, these doctors are often better paid than doctors who actually treat sick or injured patients. Beyond this, doctors who primarily make their living performing CMEs don’t carry many of the burdens that regular doctors have to deal with. They don’t have to worry about billing patients or arguing with medical insurance companies over rates or the necessity of test and procedures. Because they have no obligation to you, the patient, they have no medical malpractice issues to worry about. For them it is a very simple proposition: less work, less liability, fewer headaches, more money. First and foremost, you should be on time for your appointment. There can be financial penalties if you are late. Your Florida motorcycle attorney should send a videographer with you for your appointment. This is done to record what everyone said and did during the exam. Not all doctors employed by the insurance companies are exactly upright citizens. They have been known to outright lie about how you were able to perform during the exam or to claim that you made statements that you didn’t. Having a complete video record of the exam protects you from this happening. If the videographer is late, refuse to start the exam until they arrive and have time to set up. To help protect yourself, it is a good idea to have an exam by your treating physician immediately before your CME and then again as soon as possible afterward. By sandwiching the insurance company’s doctor visit between these others, you can help demonstrate that any false claims made by the CME doctor should not be believed. The insurance company’s physician is not allowed to perform any types of invasive tests on you. You should never be hooked up to any machines or have any type of X-ray, CT scan, nerve induction study or MRI performed. They are not allowed to use any needles or make any cuts on your person. If they attempt any of these types of procedures, you should immediately stop the exam and contact your attorney. When talking to the doctor, keep your answers simple and to the point. If it doesn’t directly relate to your condition, refer the doctor to your attorney for information. Attempting to get you to indict yourself while talking to the doctor is one of the insurance company’s favorite tactics. You are there for a medical exam, not a deposition. As a Melbourne motorcycle accident lawyer, I have seen insurance companies and the doctors they employ try dastardly tricks to keep from paying my clients what they justly deserve. I hope the information provided here helps you avoid some of the traps they will try to lay. 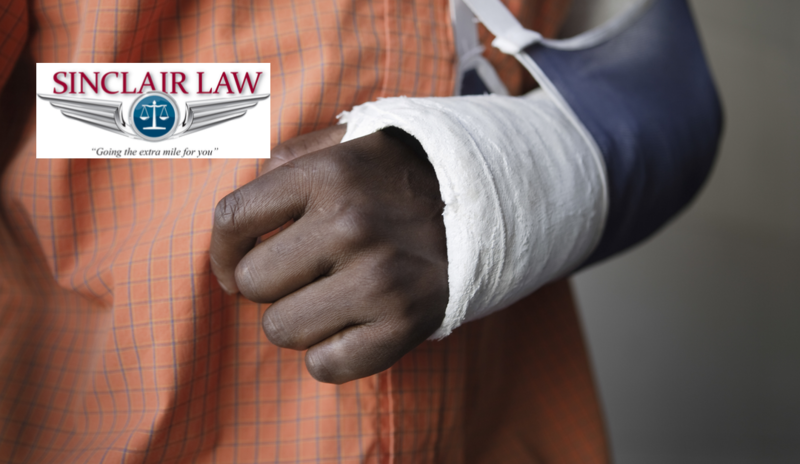 If you have been injured in a Brevard county motorcycle accident, I would love to hear from you. I am Brad Sinclair of Sinclair Law, where we go the extra mile for you.